Too many of Britain's top sportsmen and women were educated privately, the country's Olympic chief has said. Lord Moynihan said it was wholly unacceptable that more than 50% of medallists at the Beijing Olympics came from independent schools. He described it as one of the "worst statistics in British sport". 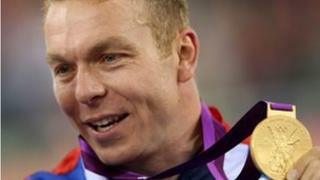 He said it meant half of Great Britain's medals came from just 7% of the population who are privately educated. Chairman of the British Olympic Association Lord Moynihan called for an urgent overhaul of school sport policy, saying private school dominance of sports was "wholly unacceptable". He said: "There is so much talent out there in the 93% that should be identified and developed. "That has got to be a priority for future sports policy. I have spoken about it many times and I will continue to speak about it until there is not breath left in me." Lord Moynihan said Olympic sport should aim to have the same ratio of state to private school pupils as football. "Football is different, it is an interesting example. The balance of professional football is that around 7% of players come from the private sector, which is an absolute mirror image of society. "That should be the case in every single sport and that should be the priority in each and every sport and that is something that every government should strive for. The way you do it is you focus on a sports policy that is primarily geared to providing a sporting opportunity." Around 7% of children in the country are privately educated, but at the last Olympics one third of Team GB went to independent schools, nearly 40% of British medal winners, and 50% of gold medallists. They included multiple gold medallists Sir Chris Hoy, a product of George Watson's College in Edinburgh and Ben Ainslie, who went to Truro School in Cornwall, and every single one of the equestrian medallists. Private schools can usually afford to devote more time to sport, and have better facilities and often top-class coaches. That is especially the case in sports where the basic cost of taking part is high, such as equestrian events and sailing. Rowing has already taken action to address the imbalance - with Moe Sbihi, who won bronze in the men's eight yesterday, one of the beneficiaries. A programme was launched more than a decade ago to pick teenagers with the necessary physique from comprehensive schools to become elite rowers. At this Games, 50% of the rowing team are from state schools. The comments come as the Charities Aid Foundation release figures showing that the income of local sports clubs and charities fell 15% in real terms since 2004. This was the year before London secured the 2012 Olympics bid. The analysis reveals a bleak picture for community sport at a time when ministers are keen to secure a legacy to the games. It is the amateur spots clubs and charities that are key to helping sportsmen and women from less advantaged backgrounds. Richard Harrison, director of research at CAF, said the last eight years had been tough for many sports clubs and charities, particularly the smaller ones. "The financial pressures facing many community charities, running sports clubs, maintaining playing fields and keeping local facilities open, mirrors the difficult financial climate facing many charities." He adds: "We need people to keep backing local sports clubs and charities as well, to ensure they can continue to support grassroots sport, and all the other causes we care about."